I WEAR THE CROWNS: Five Must Use Google Tools That Will Transform Your Life, Professionally, Personally or Both! Five Must Use Google Tools That Will Transform Your Life, Professionally, Personally or Both! I am in the process of completing a PD course that covered all things Google. Despite my impression that I was pretty proficient when it came to all things Google, I was happy to learn a few more tricks and tips to add to my growing knowledge of these fantastic tools. 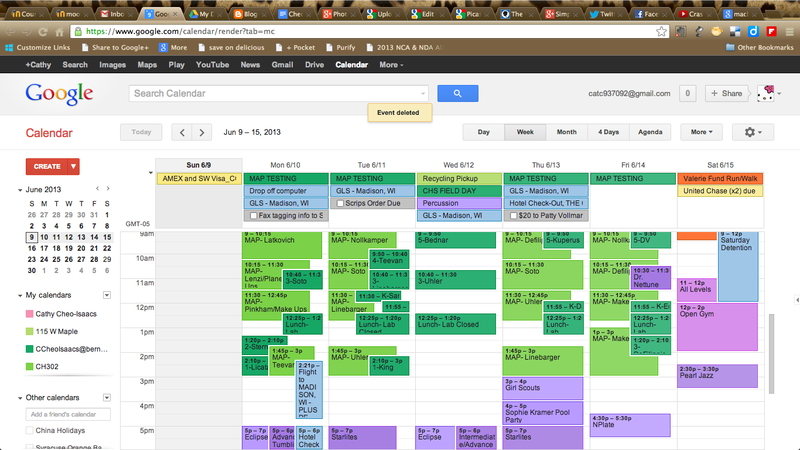 Google Calendar is a must for anyone that has any desire to stay organized. Whether you are single, or have a family, follow sports, work, attend meetings, or do anything besides sit on the couch, this tool is for you! Google Calendar lets you create appointments simply by clicking on a day, and entering the details. That's it! First step to getting organized, done! You can create recurring appointments, share your calendar, and subscribe to calendars of your favorite teams, cultural holidays, even browse interesting calendars. But wait, there's more! You can set up a calendar for each member of your family, and color code them to view all at once. I even have a calendar for the house that includes garbage and recycling pickup, house cleaning, landscaping, and even visits to the vet. If your district is using Google Apps, you can even use Google Calendar to create appointment slots, which is great for signing up for the lab, teacher edit appointments, or office hour appointments. Oh, and have I mentioned that you can sync your calendar (and everyone else's) to your smartphone? GENIUS!!! Would also love to share a screenshot from the iPad/iPhone, but can't figure out how to upload to Google+/Picasa w/o making a post. Hmmm... I'll figure it out at some point and post in the near future. 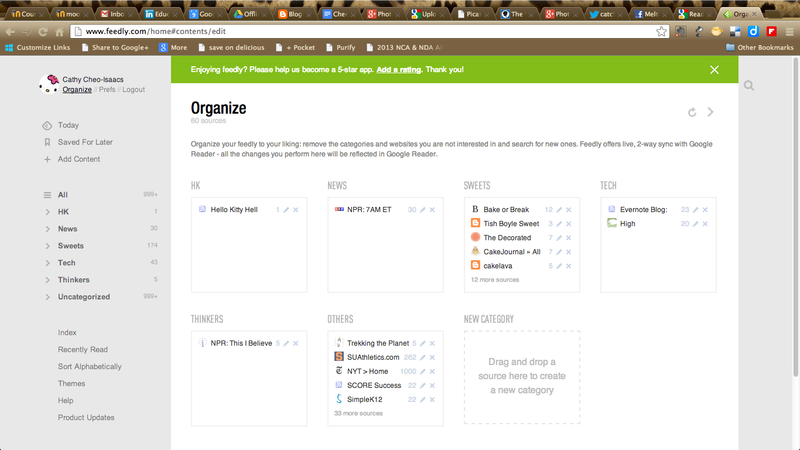 Google Drive/Docs is Google's productivity suite, all available online. It has the capability not only to create documents, spreadsheets, presentations, and even drawings, but you can use the space as cloud storage. Use Google Docs to create forms to use as quizzes for your students, or just to collect information from volunteers. You can also collaborate with others easily. Let's talk about Picasa, Google's image organizer and viewer, now integrated with Google+. I have always had a need for an image organizer, and have tried many different products. Picasa can work as a standalone product, or what makes it really great is that your albums can be synced online. My biggest gripe with Picasa (the standalone), is that every time you open it, it scans all your images, which is not necessarily a bad thing, but EVERY time? C'mon! Of course, now that I'm thinking about it, I am going to have it scan every folder on my tablet PC (since I'm using the very AWESOME MacBook Air- thanks, G!). Picasa lets you choose which albums to sync to the web, which now are connected to Google+ (which we didn't go over in class, but I'm going to take a leap and talk about it anyway, as it relates to web albums). If I haven't already mentioned it, you should know that I love web 2.0 tools that can also be used on a mobile device. While there is not iPad/iPhone app for Picasa, there is one for Google+, and it's a pretty snazzy one, I should add. Another great feature of Google+ is that it has unlimited uploads. It can also automatically back up every photo you take from your mobile device. When I first heard of this feature, I was a little leery, because I wasn't sure I wanted every photo on Google+. But now that I pretty much exclusively use my iPhone as my camera, and I have almost 40GB of photos and videos, I had a change of heart. As we speak, I am uploading 3085 items to Google+, and I am scanning my portable drive. p.s.- Just make sure you don't hit Cancel backup while it is in progress. What has already taken hours, seems to have started from scratch. Here's hoping I don't have double of all my pictures on Google+. p.s.s.- Looks like Google+ knows which photos have been backed up. Whew. 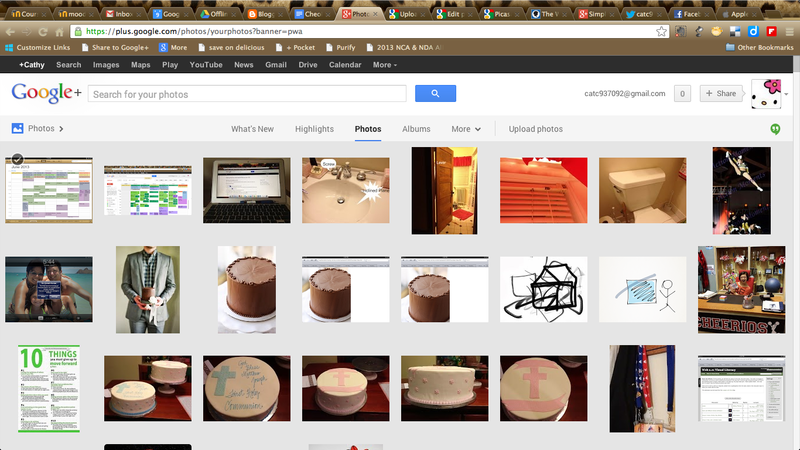 BTW- All the pictures I'm using in this post are from my Picasa/Google+ account. For anyone that has created a webpage, you know that it's arduous to upload and find the picture to use in the webpage. This process is streamlined when using Blogger. Blogger is another Google tool for, you've got it, blogging. Blogging can be your class website, a personal journal, your students' writing portfolio, or just your daily/weekly adventures. Available on the web, and as an app for iOS. So, if you're writing a blog, surely you're reading some blogs. How do you keep track of all those new blog posts? Google Reader allows you to subscribe to your favorites and read them all in one place! Unfortunately, Google Reader is saying good bye on July 1, 2013, so you'll have to find an alternative. Luckily, a friend suggested Feedly. Feedly uses your current Google Reader RSS subscriptions, and using it has been a joy. It is easy to organize your feeds, and beautiful to read, both online and on a device. Ready to try everything? Go for it! You'll wonder how you didn't find these tools sooner!